Set in the tavern, it feels like the seven dwarves have taken a break from Snow White and headed down to the pub in Pragmatic Play’s Dwarven Gold Deluxe. 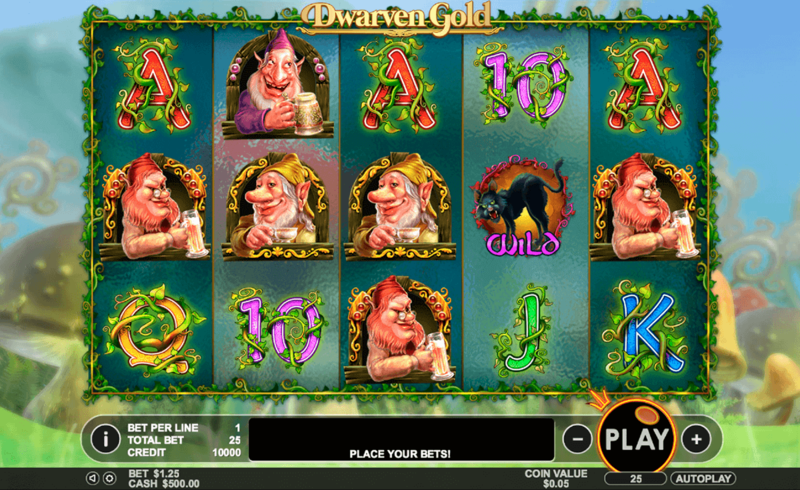 Sit back and enjoy a pint with the dwarves in this slick, smart casino slots online that keeps you playing. Pragmatic Play is passionate about creating games that excel. They have over 80 games to their name and show no signs of slowing down. They focus on creating games that are unique and exciting and are proud of the speed they use in creating top-quality games. They focus on immersive gaming that let their players thrive. Their mission is to make sure each game is better than last and establish trust with their players. They are professional, passionate and all about the players. View new slots games by Pragmatic Play now! This is a 3x 5 reel, 25 payline game. It’s a game where the braver you are, the more you will gain. You can place bets from £0.25 to £125.00. Visit our guide and choose from one of the top 10 online slot games to play today! Taking the traditional fairy tale theme, along with a medieval fantasy genre, the game certainly has its own unique feel. With a medieval theme tune and background chatter, you really feel as if you are in ye old tavern with the seven dwarves. The graphics are caricature-like, but skilfully depicted and overall, with gold, curling letters, there is a fantasy feel to the game. When you score, the animation is vibrant and brings the screen to life. In the background are toadstools, traditionally associated with fairy-tale dwarves. Lower paying symbols include 10, A, K, Q which pay between 2.50 coins up to 5.00, depending on how many land in the reel. 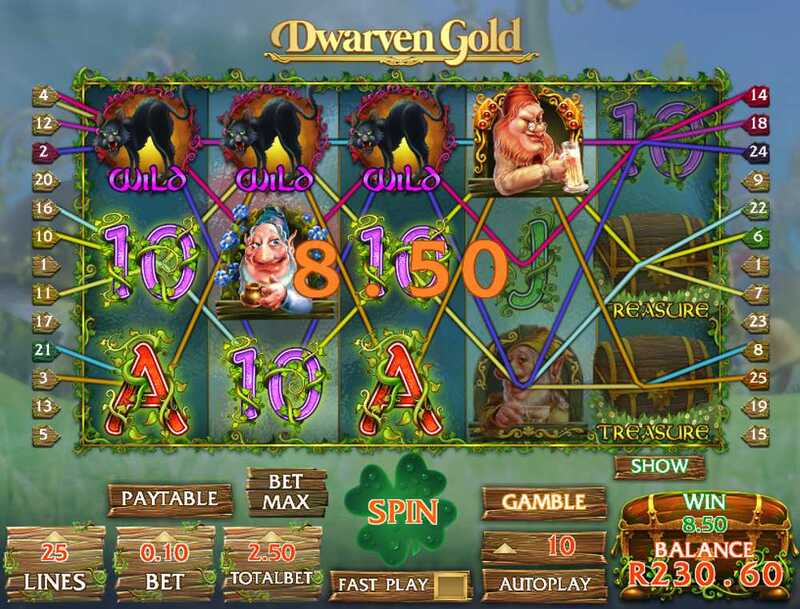 Higher paying symbols include the treasure chest which pays up to 50 coins and the trio of beer-drinking dwarves, ranging from 15.00 to 20.00 coins. · WILD - this is the glinting pot of gold and replaces all other symbols in the game. · SCATTER - this is the rainbow butterfly and is a welcome sight on reels 2, 3 and 4. If 3 butterflies flutter into play, you will activate the bonus round and with it, 7 free spins. · FREE SPINS – during the free spin round, you can win up to 20x your bet. You can add any winnings in the free spin round onto your payline win. Best of all, during this round, keep an eye on reels 2,3,4 as an extra 2 wilds will appear on each and will stay for the duration of play. · AUTOPLAY – this allows for spins to flow uninterrupted and makes for more seamless gameplay.